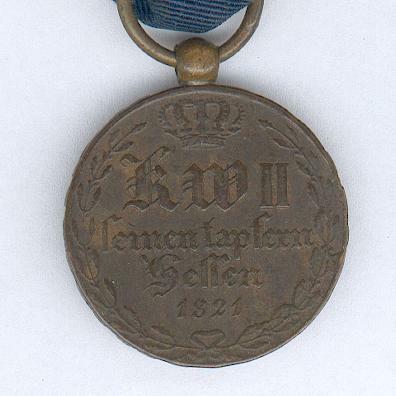 Circular bronze medal with laterally-pierced barrel suspension; the face with the crowned cipher of Elector (Kurfürst) Wilhelm II, inscribed below ‘Seinen tapfern Hessen’ (His brave Hessen) and dated ‘1821’, all within a circular laurel wreath; the reverse with a cross pattée with two antique lances and an oak wreath between the arms, a circular central medallion dated ‘1814 1815’, an antique knight’s helm on the upper arm, circumscribed ‘Gott brach des feindes Macht und Hessen ward befreit’; (God broke the enemy forces and Hessen was liberated); the edge inscribed ‘AUS EROBERTEM GESCHÜTZ’ (from captured cannon); deeply age-toned; on an old correct ribbon. 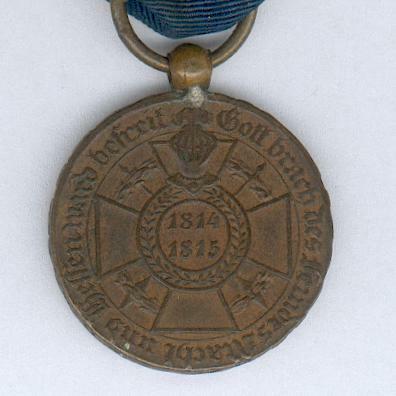 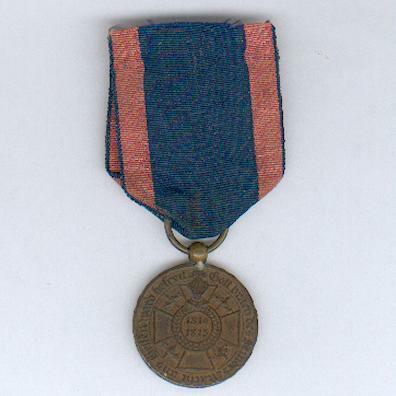 The Medal was instituted by Elector (Kurfürst) Wilhelm II on 14 March 1821 for all Kurhessian ‘warriors and subjects who in the years 1814 and 1815 served in the field under the fatherland’s colours, crossed the Rhine and returned without committing any dishonourable or criminal acts’ (‘Krieger und Untertanen, welche in den Jahren 1814 und 1815 unter den vaterländischen Fahnen ins Feld gerückt sind, den Rhein passiert und sich keines entehrenden Verbrechens schuldig gemacht haben’). 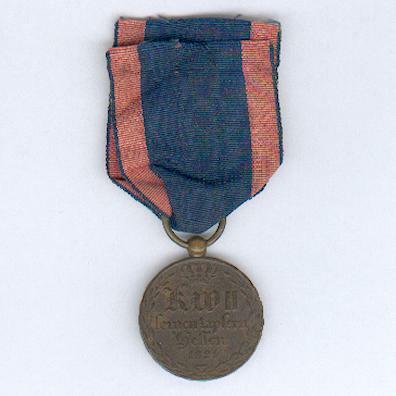 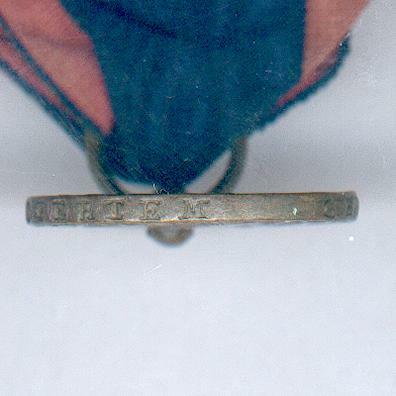 The Medal was made from captured French cannon and awarded to Kurhessian soldiers who were part of the allied forced that defeated Napoleon at Waterloo.